Whoever says shopping doesn't make them happy are probably shopping at the wrong place. The one thing that you just can’t skip on a trip is shopping, especially when you’re visiting the most sophisticated cities of India. And the best place to shop till you drop is a Hi-Fi mall. It’s worth grabbing some branded luxuries on your way home from your perfect vacation! We have got you a list of 10 most luxurious and rich malls of India. Situated in Vasant kunj, DLF Emporio witnesses the most elegant crowd of the city. Beautifully crafted in Italian marble, lustrous brass and fine wood, the mall is stretched across an area of 3,20,000 ft. Proudly, it showcases over 150 brands with a major part of those being international. Gardened in Lower Parel, it is counted as the most expensive mall of the city. Possessing an urbane look, its gross floor area extends to 3,30,000 ft. Adding to the brand value, it hosts a five-star hotel and a multiplex. It also consists of a palladium, Sky Zone and Grand Galleria. Adorned with an international touch, the mall consists of 9 PVR multiplexes, thrilling rides, 5D cinema and arcade gaming and other attractions. The roof dazzles in sunlight, adding to its extravagant looks. With nearly 365 outlets, it is the largest mall of Kerala. Located in the heart of the city, UB City mall is one of the oldest luxury malls of India. It hosts 40 international brands, serving as a hotspot destination for brand conscious version of you. Exquisite jewellery, fine dining restaurant and a tremendous nightlife, all the wondrous facilities are available under one roof. The city that never sleeps holds another city under its aegis, the Phoenix Market City. As the largest mall of India, it stretches across over 4,000,000 sq. feet. 600 retail outlets, 14 movie screens and more than 20 restaurants glorify its throne, nourishing the world-class experience it provides. Spread across an area of 8,50,000 sq. feet, Orion mall is the one architecture meeting the routine as well as the luxury needs at the same time. Celebrated as a chill-out spot and a high class paradise, its 100 brands top it perfectly. The waterfront of the mall makes it even more special. With an area if 9,24,000 sq. feet, it is the most visited shopping mall of the country. Or should I say, the must-visit mall in India. Over 20,000 brands springing inside create a pool of choice for the shoppers. What makes it stand apart are the various events organised annually. The Paris of India, Chandigarh city brings to you its priceless possession. 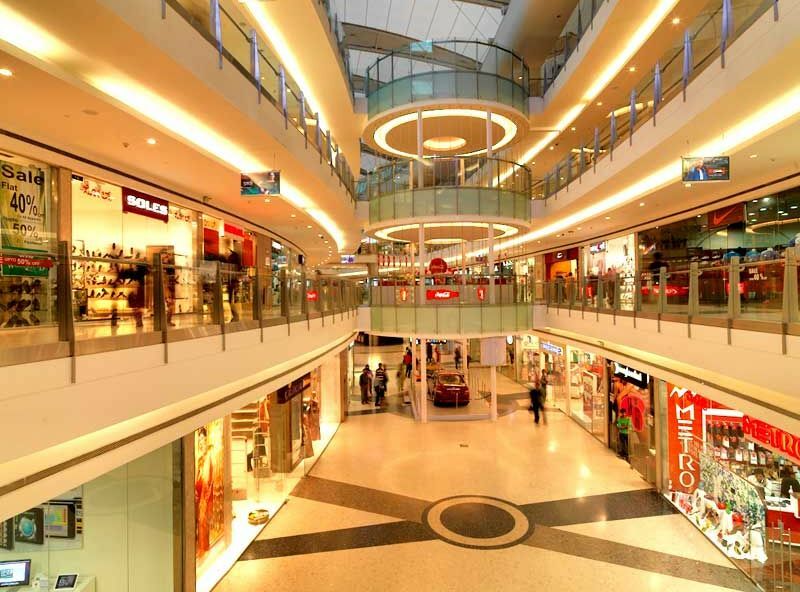 With a gross area of around 1,150,000 ft., Elante is the second largest mall of northern India. Presenting a number of international brands under one roof, it furthers to the elegance of the city. The heartthrob of South Delhi, catering to a mixed crowd of college students, travellers and porsche shoppers. Extending to over 1,300,000 ft., the mall has over 125 stores and a multi-cuisine food court to blossom its superb look. Capturing the true spirit of the city, it is commonly called as the ‘adda’ or ‘the secret harbour’. Rotating on its central axis, it holds a number of hangout options to explore. With an approximate area of 4.5 lakh sq. feet, this mall witnesses crowd from all over the city, giving you the best sneak-peak into actual Kolkata.